I've been avoiding wishlists lately (and done a reasonably good job at it! ), but as I enter the career world, I find myself wishing I had some more substantial pieces of jewelry. Most of my jewelry is of the gypsy, hand beaded variety. Which is lovely in it's own right, but not always what I'm looking for. It's amazing to see how prices have changed. Somewhere around 2005, I purchased these sterling silver Tiffany Bead Earrings as a gift and paid $50. Today they are $125. Ouch. Oh, how I regret not having the forethought to buy them for myself 8 years ago! If you're never invested in a little blue box, these pieces are an excellent way to start. They are classic and will never, ever go out of style, not to mention, they match everything. If they're a little too mature for your taste, I'm also a fan of these more modestly priced (you know, for Tiffany) fun pieces. As you can see, I'm not really into the "Return to Tiffany" style, but it is certainly very popular. I will also confess to loving a lot of the heart jewelry from Tiffany's, even though I pretty much loathe heart shaped accessories as a norm. Mini rant - What gives with Tiffany having the Pisces symbol incorrect? 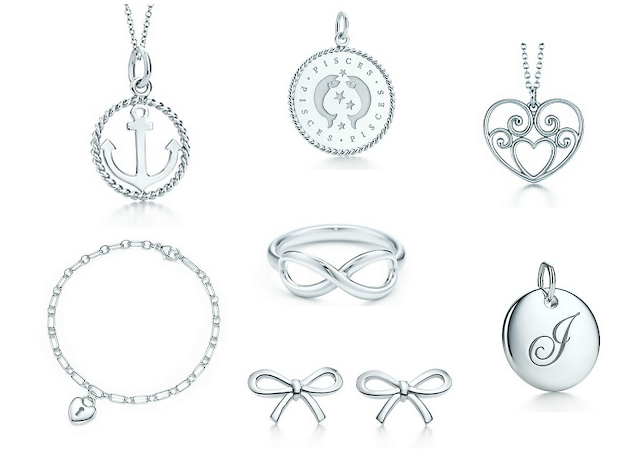 They have the same design problem as Alex + Ani - the fish are swimming in the same direction. NO. They are supposed to be going in opposite directions! Why won't someone make a beautiful, high end Zodiac charm for me? Am I totally misinformed in my zodiac knowledge? I mean, I'm pretty sure I'm not, but maybe there's something you know that I don't. 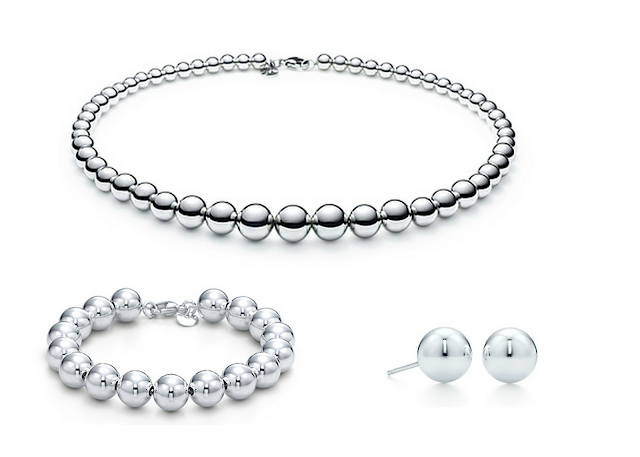 These pieces of jewellery from Tiffany's are gorgeous! I have a few pieces from there and you are right the prices have totally increased!! Yikes! Those bow earrings are adorable! I hate it when my jewelry disappears - my pearl earrings met a similar fate (aided by my sister, I think) a few years ago. So annoying! I love the classic bead necklaces and bracelets from Tiffany. It's one of those pieces that will never go out of style. Totally! I love the big trendy stuff, but I have a hard time seeing it stay in fashion for long - although I'm sure it will come back a decade after it all disappears! I love this post! Tiffany is one of my favorites! I have also nominated you for the Sunshine Award. I love reading your posts and hearing your comments and thoughts! When you have a chance, check out the post on my blog about the nomination. You don't have to answer or participate if you don't want to, just thought I would let you know.